KayKiSpeaks.com: BREAKING NEWS! Rapper Rick Ross Unconscious Paramedics Desperately trying to Resuscitate! BREAKING NEWS! 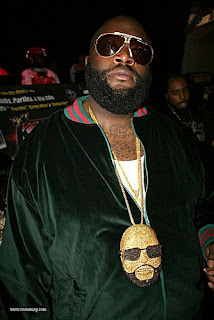 Rapper Rick Ross Unconscious Paramedics Desperately trying to Resuscitate! According to TMZ, rapper Rick Ross had a seizure this afternoon on a flight to Memphis and lost consciousness. The flight made an emergency landing as paramedics are trying to resuscitate the rapper. According to TMZ some of Ross' entourage are emotionally disturbed! We're hoping for the best, I will keep you updated! Reports have now emerged stating that Ross appeared to be conscious as they wheeled him off of the plane.